The influx of modern day masked balls, (now popular as wedding themes, masked prom balls and charity events), have all stemmed from a Venetian tradition which started as early as the 11th Century, becoming a regular part of life well into the 15th Century and peaking in the 18th Century. The Venetian masks themselves were originally created for the ‘masques’ or shows/theatre depicting various characters such as ‘El Captiano’, ‘El Dottore’ and ‘Pantalone’ who represented arrogance, stupidity, and greed. The Venetian masks then became popular as everyday disguises where mixing with different social classes, romantic affairs and anonymity were needed. This led to the Mascereri (the Masquerade Mask Makers) being officially recognized with their own guild as Master Craftsmen in 1436. The range of Venetian masquerade masks increased to include the well known ‘Bauta’ (which was worn by both women and men), the ‘Arlecchino’ (the joker) and the ‘Moretta’ (a full faced masquerade mask favoured by women and usually black in colour). Of course, venetian masks were not only used for disguises, but as practical solutions to the influx of diseases. 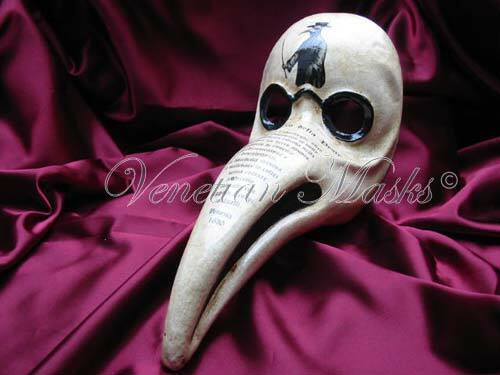 The famous ‘Medico della Peste’ (Doctor of the Plague Mask) was designed with a long beak like nose which would house aromatic grasses or herbs, thought to ward off disease or infections. As mask wearing increased, so too did debauchery and crime. This forced a decree in the 14th Century, restricting the wearing of the Venetian masks to carnivals and special events only. One such event is the famous Venetian ‘Carnivale’, held every February/March in Venice and celebrated with street entertainers, masked balls, costumes and an abundance of gorgeous Venetian masquerade masks. Back to modern day, the popularity of masked balls has been seen in literature, film and theatre, recognizing the important role ‘masquerade masks’ play in changing our lives for the short period of time we wear them. Films such as ‘Labyrinth’, ‘Mask of the Red Death’ (Edgar Allan Poe), ‘Casanova’ & ‘Eyes Wide Shut’ (Stanley Kubrick), have all featured a masquerade ball of some description, and of course Andrew Lloyd Webber’s ‘The Phantom of the Opera’ (opening with a masked ball scene) couldn’t have explained the intrigue of a masquerade better than from its lyrics “Masquerade, paper faces on parade. Masquerade, hide your face so the world will never find you”. As masked balls moved into England and increased in popularity, we see a change from the wearing of the traditional Venetian mask to more contemporary versions – suitable to our attire than of the complimentary period dress. However, a mask in any form, achieves what the Mascereri originally intended, that it be used as a way to be someone else for the time that you wear it. 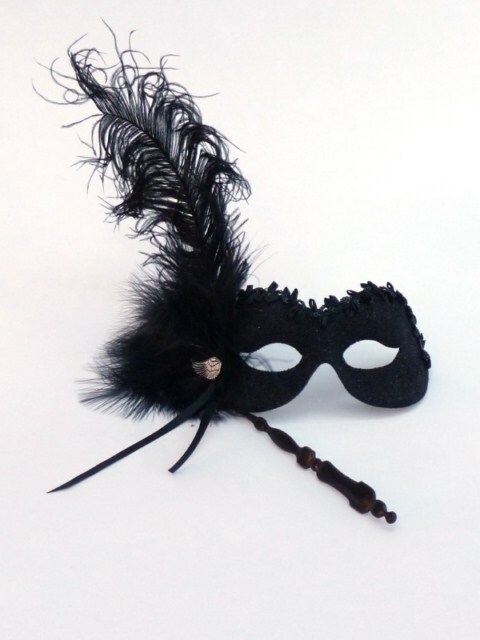 Looking for a venetian mask or masquerade mask but don’t know where to start? Checkout our Mask Buying Guide which gives you information on the types of masks you can buy and how to measure your face for them. Want to attend the Venetian Carnivale in Venice? Visit http://www.meetingeurope.com/costumes/costumes_index.htm for Venetian Carnivale information and costume/mask hire in Venice. The costumes aren’t cheap but for a special occasion, are definately worth renting. Looking to buy a Genuine Venetian Mask or a Masquerade Mask? Well we stock a huge variety of masks that we both import from Venice but also make ourselves. 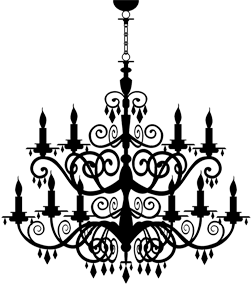 This includes Men’s Genuine Venetian Masks, Women’s Genuine Venetian Masks, Leather Masks, Gorgeous Lace Masks, Venetian Metal Filigree Masks and Masked Ball Masks. To visit our full selection of Masquerade Masks, please click here.